So I have a habit of changing cars quite often. Bottom line reason usually comes down to money, but occasionally it's because a car is just boring to drive. Pretty much instantly fell in love with it. Took a bit convincing my better half to drive me the 3 hrs to see it but after promising it would be my last car for a long time, she agreed. She has a Webber carb which is far better than the peirsburg one. Shes got plastic BMW filler neck which saves swapping one in and is lowered on all four corners. And for the first time ever I've bought a car with a large amount of service history. 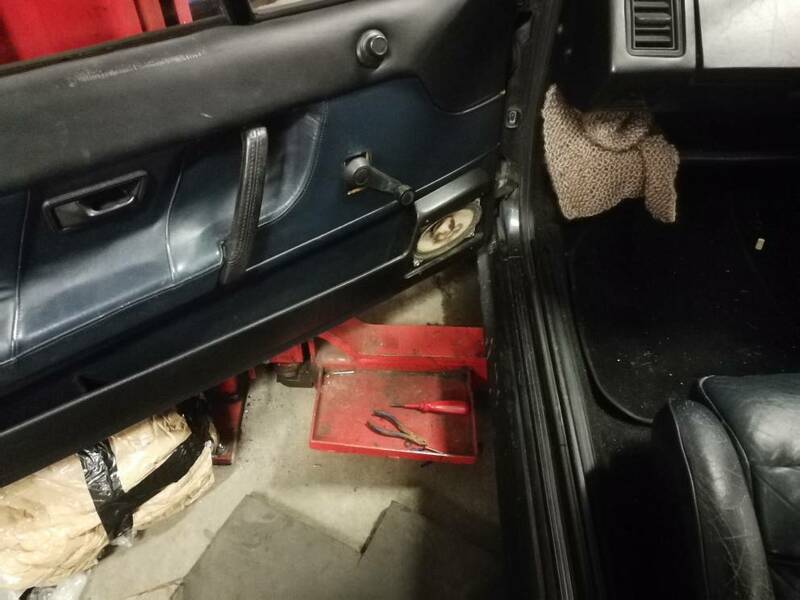 How every being a 30 year old car there are some faults. The interior would be awesome if the drivers seat wasn't so destroyed. The drivers seat has had it. It's far worse in person and I've spoken to a few places and they've said it's beyond repair. Which is a damn shame cus the rest of the interior is in pretty good condition and with little love and attention will look fantastic. 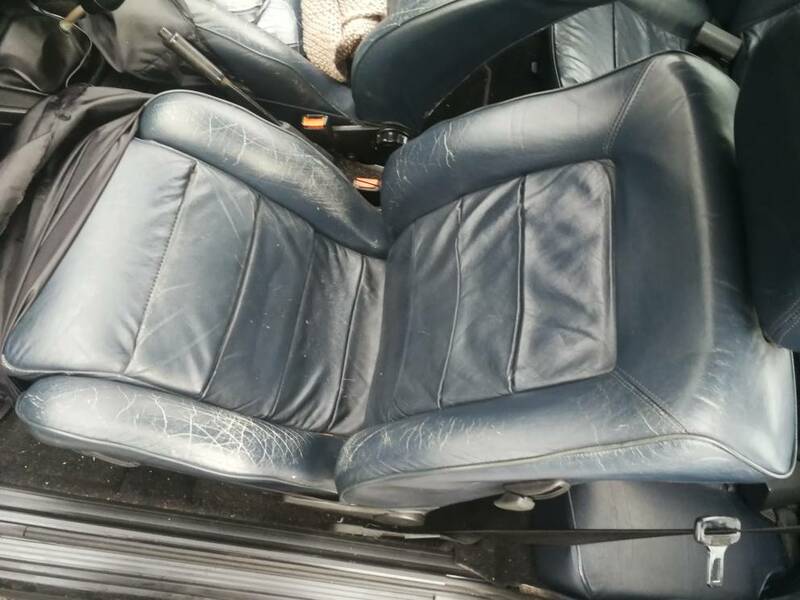 So I'm thinking about fitting some blue leather Audi TT seats, has I've seen some suggestions they fit. If anyone could confirm or deny this I'd be very appreciative. 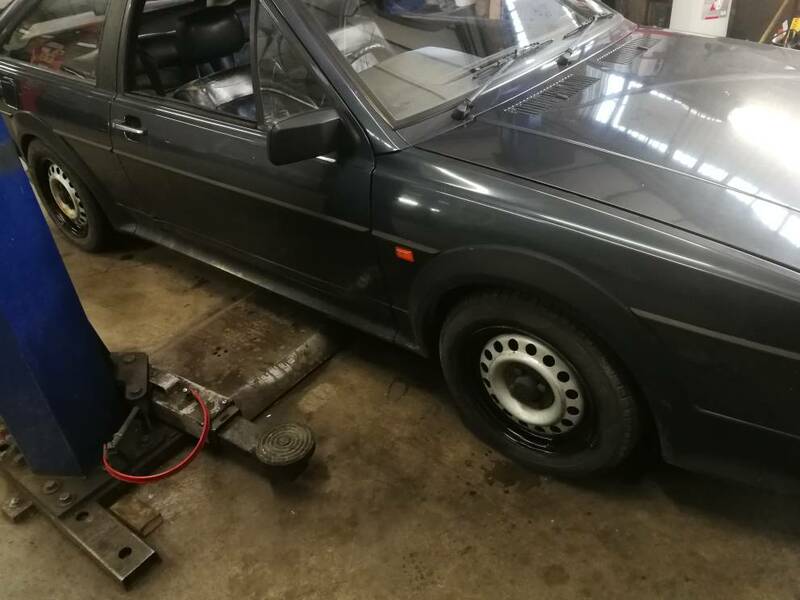 Other bad parts are rust, it's 30 years old and I'm serious surprised by the lack of rust. 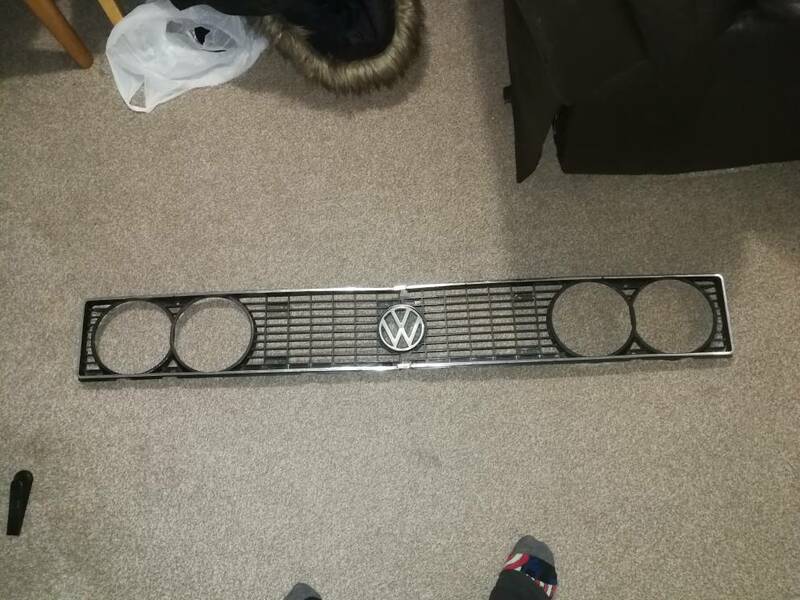 This MK1 grill to be precise, I bought it for my previous scirocco but never got to fit it. And then shes gunna get air ride. I've always wanted air ride. I love low cars but a car needs to be practical at the end of the day, that's why mine isn't slammed to the floor atm. But I plan to change that when she's on air. That's what I want to get done before Xmas 2018.
hi and welcome to the group. the interior is indeed from a storm, the cosmos blue storms infact and yes only 300 in blue were produced in that colour. 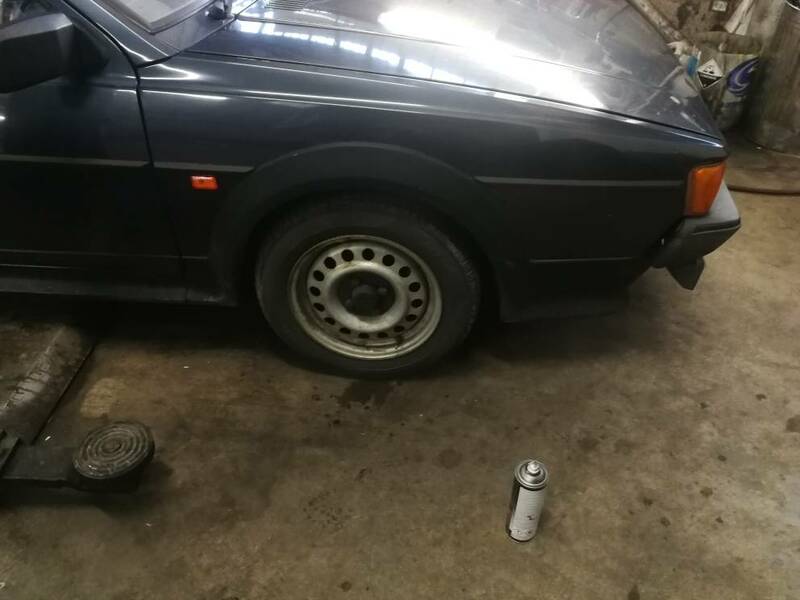 many forum members have put corrado seats in these cars, should be a thread somewhere in the projects section. looks like a good starting point for your plans with it, and enjoy the group. 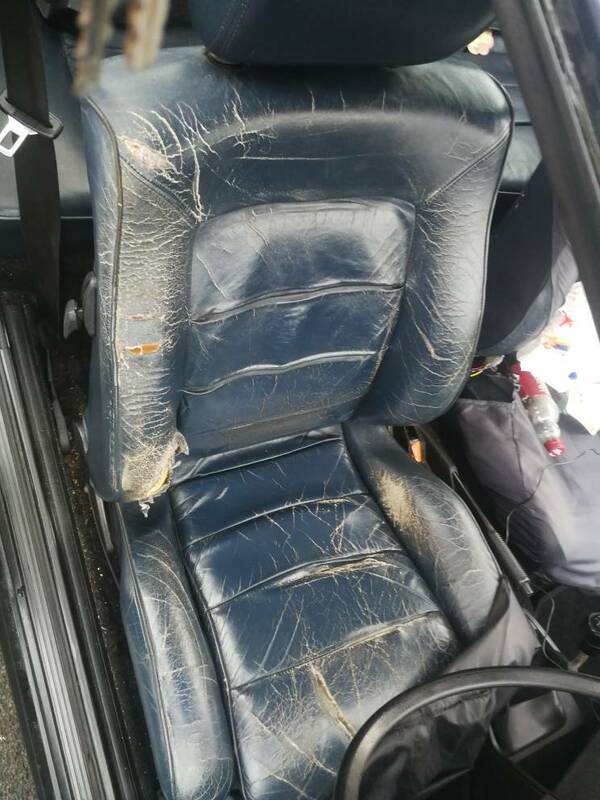 Welcome Ebies, a good trimmers should be able to retrim the drivers seat in leather and dye it blue to match, the leather sections just slide off the seats once a few clips are undone, VW did not use special leather... Seat foams are available new. Your passengers seat could do with a good feed with leather cream as it's also starting to crack, it's the sun which drys the leather out. 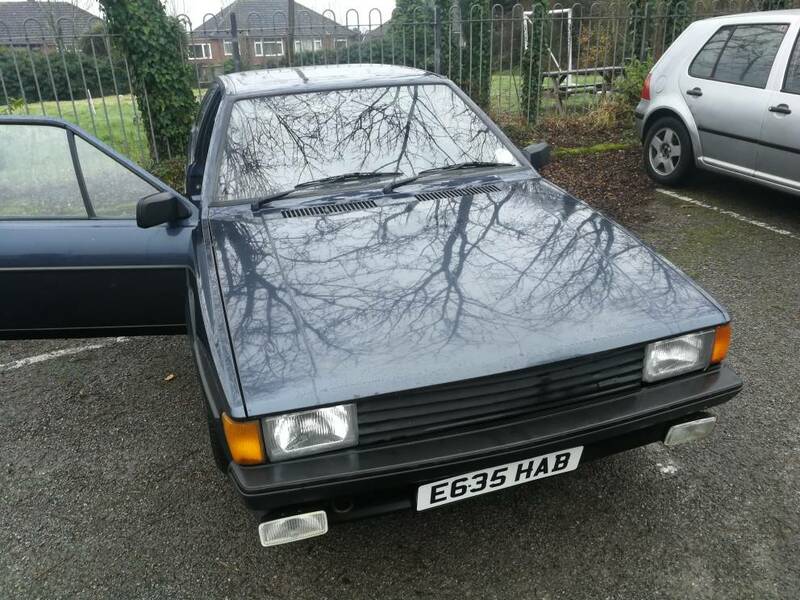 I did see this car for sale on here. Sounds like you have plenty of plans for the car and will be busy. I will check yours out :) I saw that interior and what it went for. 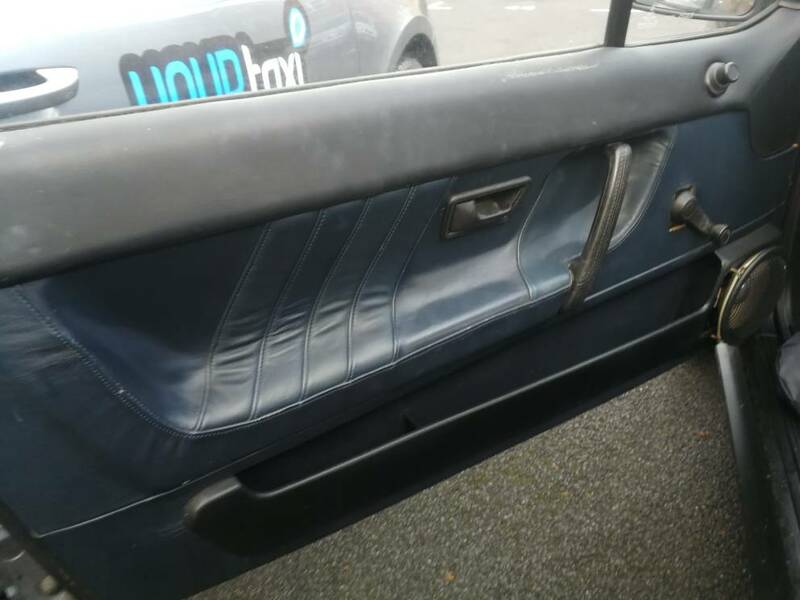 I don't really want a whole interior, best case id find nice storm blue driver seat but realistically I'm better of getting two new front seats as the rest of the car is fine. You will be better off finding a good passengers seat and swapping it over to the drivers side. mark1gls wrote: Welcome Ebies, a good trimmers should be able to retrim the drivers seat in leather and dye it blue to match, the leather sections just slide off the seats once a few clips are undone, VW did not use special leather... Seat foams are available new. Cheer, I've messaged a few trimmers and said it's too far gone/not worth the Money to do it. mark1gls wrote: Roughly where are you? So done a couple of minor things since the last post, but it's Xmas so Very has been done on a shoe string budget. 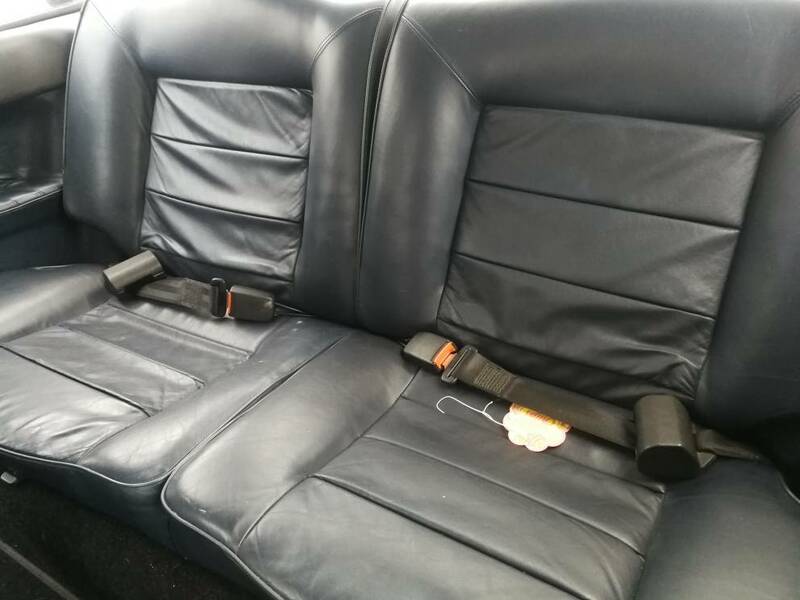 Next I thought I'd treat the seats to some leather care, I do realise that treating the leather on the drivers seat is like applying a puncture repair to the Titanic, but I removed the horrid seat covers and need the seats to last as long as possible. At the very least it won't hurt the leather. In the end gave up and called the AA expecting to be recovered home. I was gobbed smacked when the AA man made me a completely new clutch cable at the side of the road. Drove it home and ordered a new cable from euro car parts. 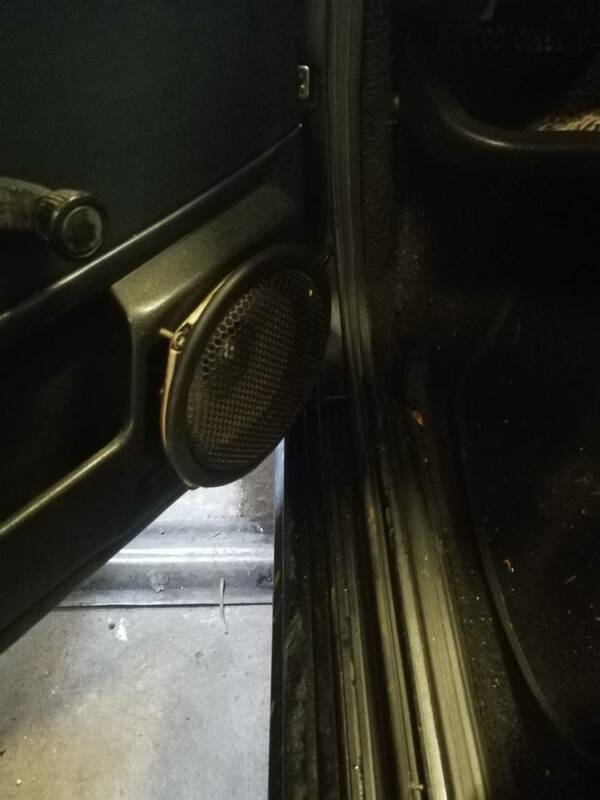 It's longer than the original but does the job just as well. Had some down time at work and thought I'd tackle the wheels. They were looking a little worn, so armed with my pound land spray paint. I set to work. I think it looks better, not gunna say fantastic, but certainly better. Plus it was cheap and done very quickly and easily. 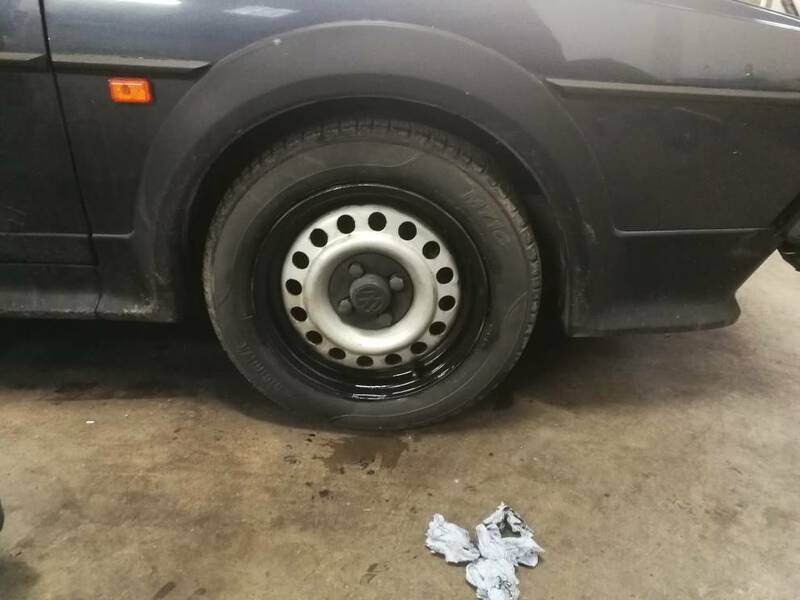 When I change the tyre I may do it again to a higher standard.